The sailing adventure of our crew is getting more interesting. 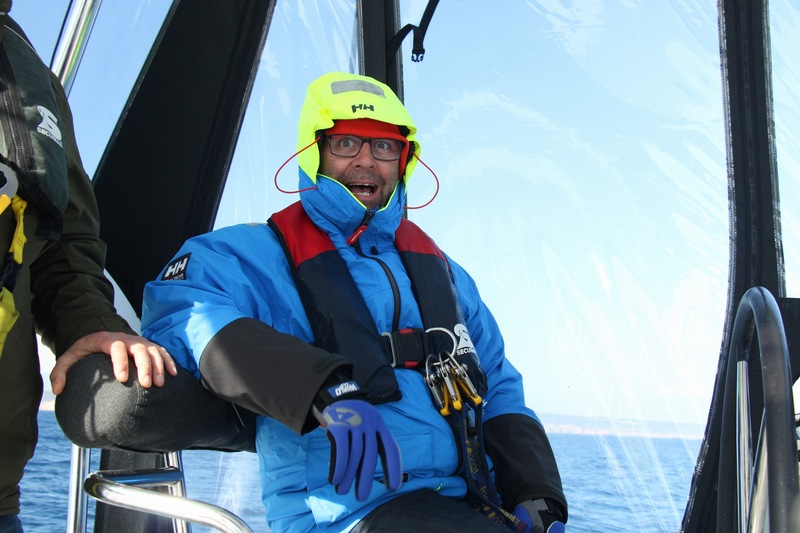 Read about their problems with the wind and the gadgets, and how they managed to solve them! Conclusion of yesterday’s evening: sherry is good, but port wine is better. 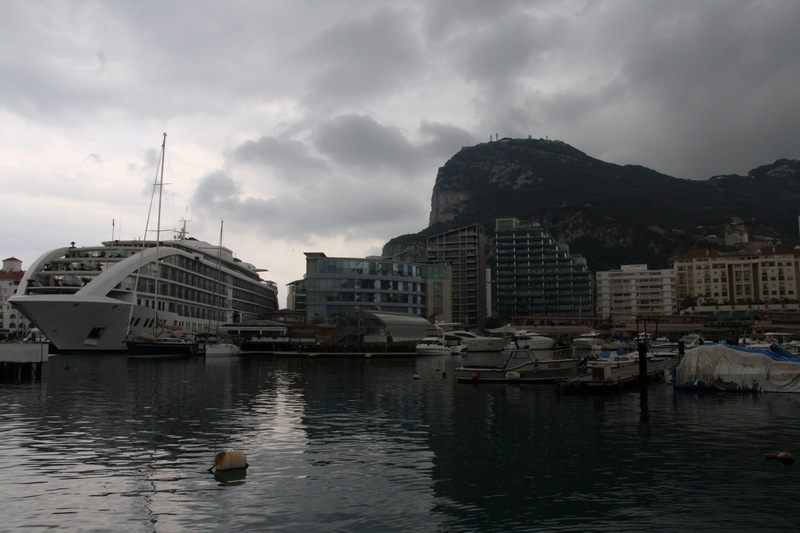 We left Real Club Nautico de Santa Maria at 7.30 am, and headed in the direction of Gibraltar to meet our timetable. We calculated yesterday the position of three currents: the main current from the Atlantic to the Mediterranean, the tidal flow and the wind influenced flow. So, when we arrive at 6 pm at Punta Carnero (west entrance to Gibraltar Bay), we will have a flow of 3 knots in our direction. We will have a SOG of 9 knots instead of normal 6 knots under engine. According to the weather report, we will have 5-10 knots of easterly wind against us. Unfortunately, the wind was much stronger, and created a wind influenced stream against us. We had to run both engines at 2000 rpm, which resulted in us being two hours late. Luckily, I have been in Gibraltar Ocean Village Marina before, so entering the port in the dark was no problem, and we moored up at 9 pm some 70 m from the runway of Gibraltar Airport. 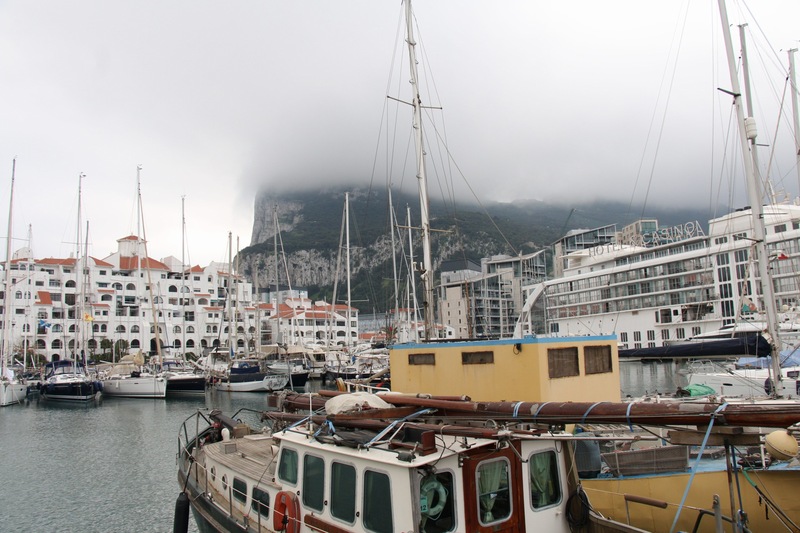 In the morning, the crew did some sightseeing in Gibraltar, and we left Ocean Village Marina no sooner than noon. Then we filled our Diesel tanks at the gas station near the marina. After leaving the gas station, we set sails already in the bay, and put in one reef. However, already in the bay we had to bind the second reef. Outside the bay, we had to bind the third reef, but the hook of the reef – which had to be fixed at the mast – broke. The wind was at that moment 38 knots. We managed to use some shackles instead, and headed 050° to Benalmádena. Later, the wind force dropped below 30 knots, and we had some pleasant surfs. Suddenly, I saw on the anemometer a dramatic increase of wind speed, but there was no sign of it on sea surface nor in BSP. The anemometer went up to over 90 knots, and then it died. We reset the system twice, but it didn´t help. The waves increased, and we got more surfs. Sea state was 5, according to the Douglas scale. Within a double surf we reached more then 19 knots BSP. 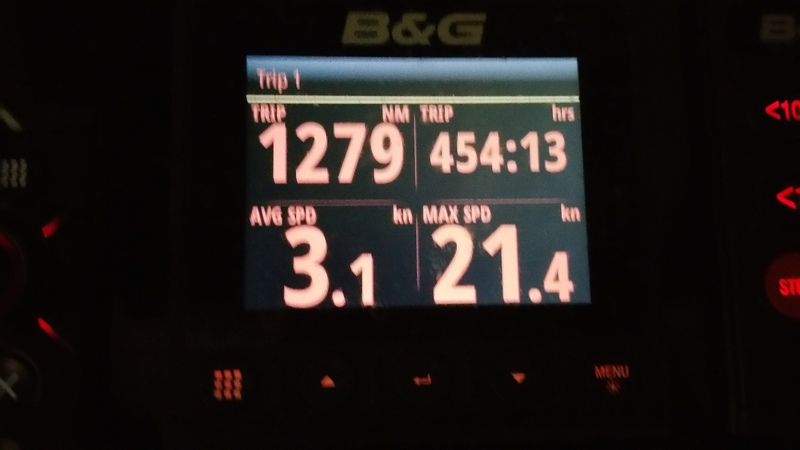 Later in the evening, I read that our max speed was 21,4 knots, according to the GPS. Some dolphins played under our bows. Luckily, the wind got weaker later, and we could go back to reef two, and eventually to full jib. At 9.20 pm, we moored up at the reception pier at Marina Benalmadena, near Malaga Airport. Due to the swell in the marina and the wind, we had to stay at the reception pier in a very unpleasant swell. Who knows, maybe the marina employees didn’t feel like working either at that time. They promised us another place the next morning. Our crew went to a restaurant, and I stayed on the boat to watch the ropes. Thus concluded leg two of our journey. In the morning, in a calmer period, we changed our mooring place. We had to go stern first to the pier with two mooring lines. Crazy electronics – suddenly the anemometer worked again!? 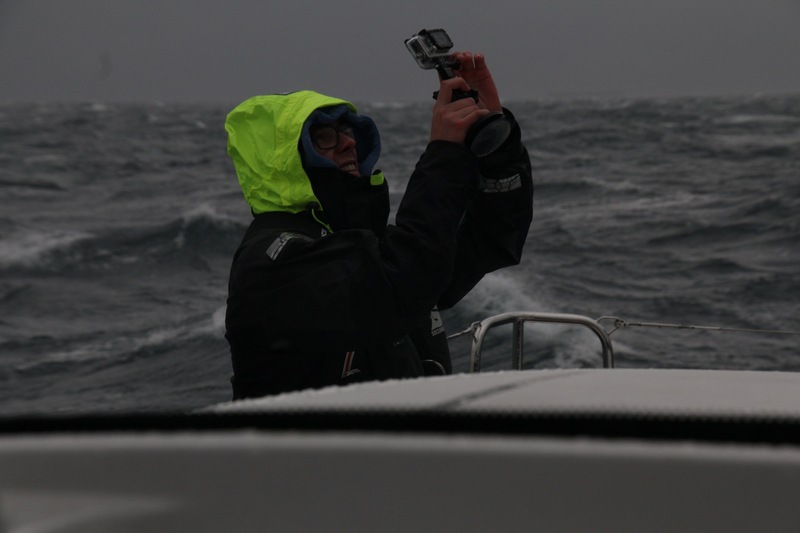 Generally, it was too windy (up to 35 knots in the harbor) and too rainy for a crew change. Due to the swell in the harbor, it was nearly impossible to step out, and come back on board. It wasn’t even possible to find a wooden plank on our way from France to there. The very friendly mariners found me a shop, where I could buy a used gangway for €300. We made a wooden construction on the swimming ladder, and mounted our new metal gangway with a handrail! A part of the newly arrived crew together with our regular crew went for provisions. In the evening, after the arrival of one latecomer, we went to a Chinese all-you-can-eat restaurant in the marina. When we came back to the boat, the gangway was up, and the swell was even bigger. One of our regular crew members wanted to help, and jumped on the boat. Unfortunately, he slipped, and fell into the cold water. He managed to climb on the boat without the swimming ladder, and lowered the gangway, so everybody could come on board. After he got into some dry cloths, we got him a well deserved beer. The others joined him in drinking beer, out of solidarity, of course. After breakfast, we went through the obligatory safety and technical instruction. Then we left the harbor, and with nearly no wind set the mainsail, and put one reef after the other as training. Soon a little wind came up, and we could start sailing without the engine. At 4.30 pm, we had to bind the first reef. It was a really nice and relatively fast sailing (over 9 knots SOG) along the Costa del Sol, which was sunny only for a little while. Both regular and new crew started cooking our first meal on sea. 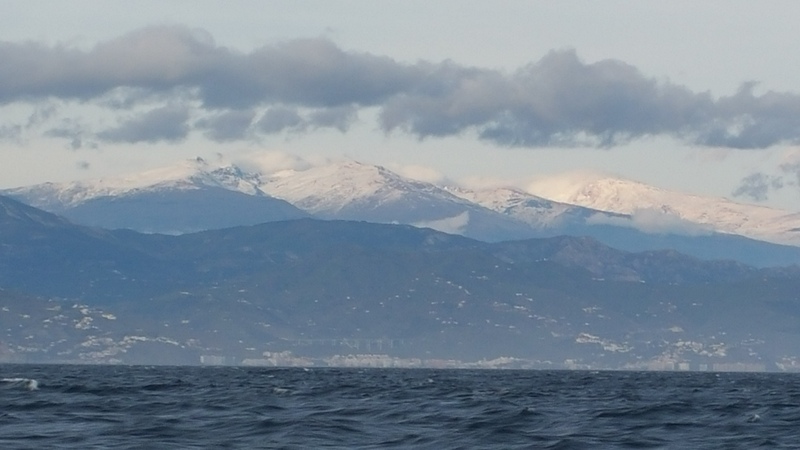 On high mountains behind Punta del la Mona, we could see snow from yesterday’s cold front. At 6 pm, we also put one reef in the jib, because wind speed went above 28 knots. The meal of the day was Zürcher Geschnetzeltes (stir fry Zurich style) with champignon-pepper sauce and leek-risotto. 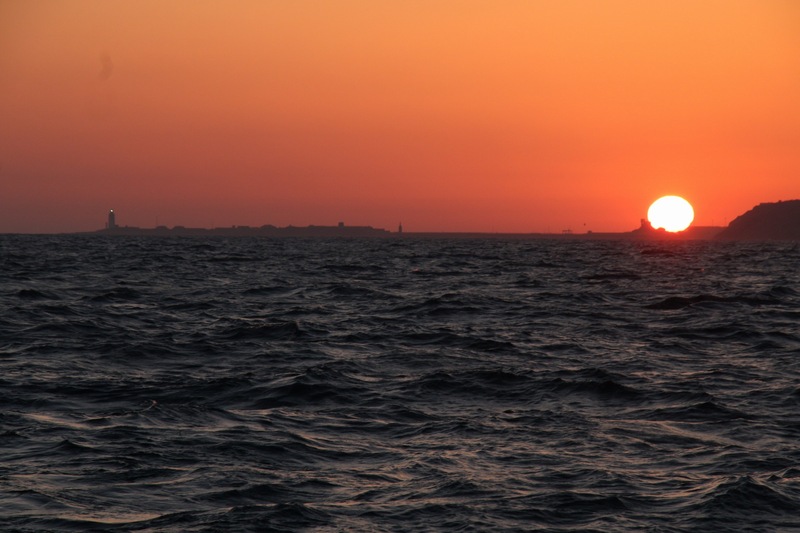 Later in the evening, the wind weakened again, and our direction turned north, so we could set full sails. Around midnight we had to start the engine again. Check out the fourth chapter of our story! probably some Segal landed on it and who knows, might make a nest up there! Which means part of the trip you had a stoway on board! I’m glad the problem is solved, one or another way. All the best R. I wish you smooth see and tides following you.